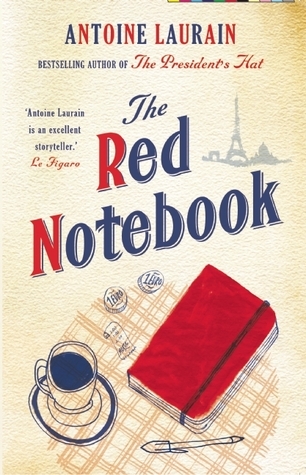 The Red Notebook is a delightful novella, translated from the original French by Jane Aitken and Emily Boyce: a quintessentially French story of coincidence, opportunity and romance. When bookseller Laurent comes across a luxurious woman's handbag on top of a trash can, he does not believe it was intended to be thrown away. Rather that it was somehow lost by a woman who had loved it dearly, possibly even the remnants of a robbery. When the police prove ineffective at tracing the owner, Laurent takes it upon himself to reunite the handbag with its rightful owner, but since all identifying items have been removed, he can rely only on the dedication in a paperback novel and the jottings found within a simple red notebook. Incidentally, I discovered this translated treasure after googling "books like the film Amelie", which remains one of my favourite cinematic experiences after all these years. I thoroughly enjoyed this simple, whimsical and lighthearted read. After reading so many dense novels recently it was a breath of fresh air to find myself delighted by a novella which invokes perfectly the spirit of a time and place, slowly revealing the depth of the major players. Readers who have enjoyed The Red Notebook may also like The President's Hat (also by Laurain), The Elegance of the Hedgehog and The Housekeeper and the Professor.